Prices quoted below are weekly and self catered. We usually rent Inshriach House from Monday to Monday but long weekends are also available and are priced at 75% of the weekly price. All prices now include VAT. Electricity is included as is tea, coffee, linen, towels and electric blankets. Firewood is available for £5 per basket. We also provide environmentally friendly cleaning products. Wireless internet (but with limited bandwidth due to our remote location) is available in most rooms of the house. Dogs are welcome by arrangement but must be kept on leads around the farm because we have horses, sheep and chickens. Peak (Easter, June, July, August, September) – £3400 per week (£2550 long weekend). Other months – £2500 per week (£1900 long weekend). Weddings are sometimes available at Inshriach. We charge a facility fee starting at £1800 (for up to 80 guests) on top of the weekly rate quoted above. We require a 30% deposit on booking with the balance payable 8 weeks before entry date. In the event of cancellation the deposit is refundable up to that point. We also take a good housekeeping deposit of £500 on full payment which is refundable one week after departure. 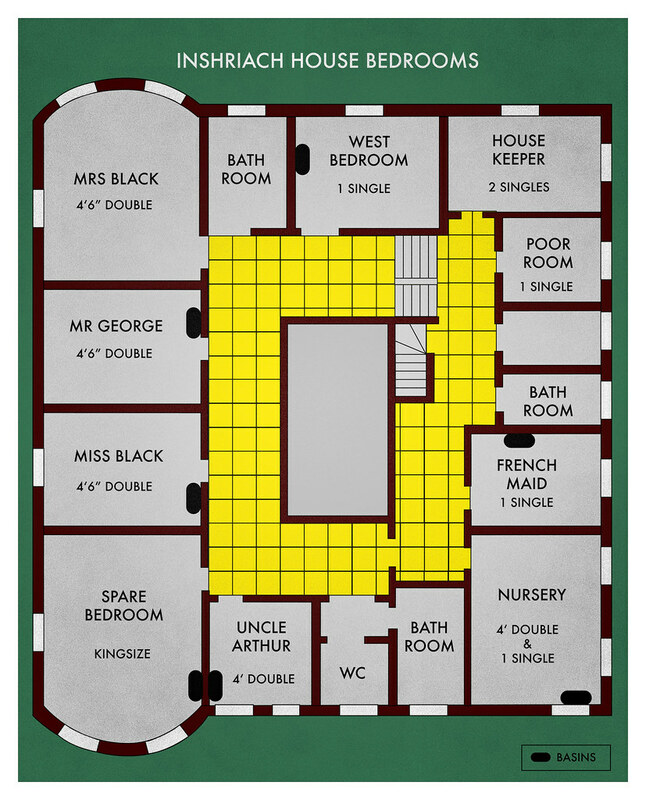 See the plan of Inshriach House bedrooms here. Please contact [email protected] and feel free to phone us if you have any questions.